Parenting is a rewarding, yet complicated (and even exasperating!) gig. It truly does take a village to raise our children, and parents in the Down syndrome community may need an even stronger tribe. Many times, teachers, mentors, coaches, and other educators are proud members of our villages and play key roles in the lives of our children. 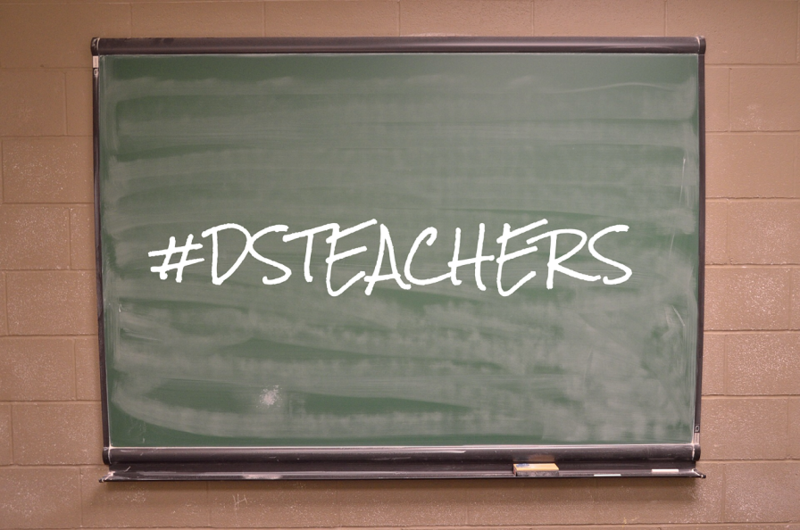 To recognize these amazing relationships, ds-connex is proud to announce the fourth annual #DsTeachers contest! May 7 – May 11, 2018, is Teacher Appreciation Week and ds-connex will celebrate great #DsTeachers with a simple Facebook campaign intended to celebrate those who make such a difference in the lives of kids with Down syndrome. The nominators with the top three posts (the photos with the most likes) on our campaign’s Facebook album will receive a $125 (first prize), $75 (second) or $50 (third) donation from ds-connex to their Down syndrome walk team along with a $25 Barnes & Noble gift card for their child’s educator. Starting Monday, April 16, 2018 you can nominate the terrific #DsTeachers in your child’s life by submitting a photo and a brief story to contests@ds-connex.org. Nominations may be submitted April 16th-29th. All entries must be received by the end of the day on 4/29 in order to be included in the contest. We will post all nominations to an album on the ds-connex Facebook page on the afternoon of Monday, April 30th, when voting will begin. We will tally the likes each nomination receives on their respective photo in the album. The voting will close at 12pm EST on Monday, May 7, 2018. The winners will be announced later that day via the ds-connex Facebook page. All nominators, #DsTeachers, and schools/orgranizations are encouraged to promote the contest and ask friends and family members on Facebook to like and share their nomination post. We also encourage participants to like the ds-connex Facebook page so they can stay informed of any upcoming contest opportunities. The nominators with the top three posts (most likes on their album photo) will receive a $125 (first prize), $75 (second) or $50 (third) donation from ds-connex to their Down syndrome walk team along with a $25 Barnes & Noble gift card for their child’s educator. The three educators will be announced on ds-connex social media on the afternoon of Monday, May 7th. We will highlight selected nominations, chosen at random, throughout Teacher Appreciation Week. By nominating someone for the #DsTeachers program, you are giving ds-connex permission to share your submission via our Connexions blog and across multiple social platforms in order to raise awareness and appreciation of teachers, coaches, and mentors in the Down syndrome community. Please note that this contest is sponsored by ds-connex.